I enjoyed this book, but it was heart-wrenching. Denise's childhood abuse and journey through the foster care system would be obstacles to happiness most couldn't overcome. Throughout the book I rooted for Denise and hoped that the hero, Rich, wouldn't give up on her. I think most men would have. 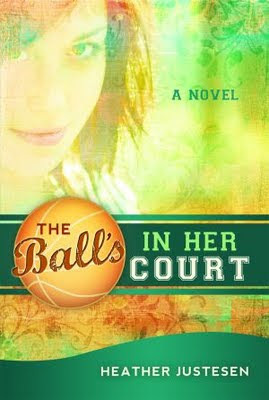 The Ball's in Her Court was interesting and well-written but you need to plan on being frustrated and even depressed at times as you immerse yourself in the story. I laughed and cried and felt immensely relieved when Denise finally accepted love, peace, and family. A month-long book tour will run in conjunction with this book's release. Heather will be doing giveaways on her blog throughout the month and has just informed me that The Sister Pact will be included.